This was the advice we received from a wide-smiling Phuket taxi driver after telling him about our Thailand travel plans. We’d already been amazed by the pristine beaches, mouth-watering food, and fascinating culture in Krabi, Pattaya, Koh Samui, and Phuket so didn’t give his comment much clout. Perhaps the poor guy was suffering from “tropical beach overdose”, but we couldn’t get enough. 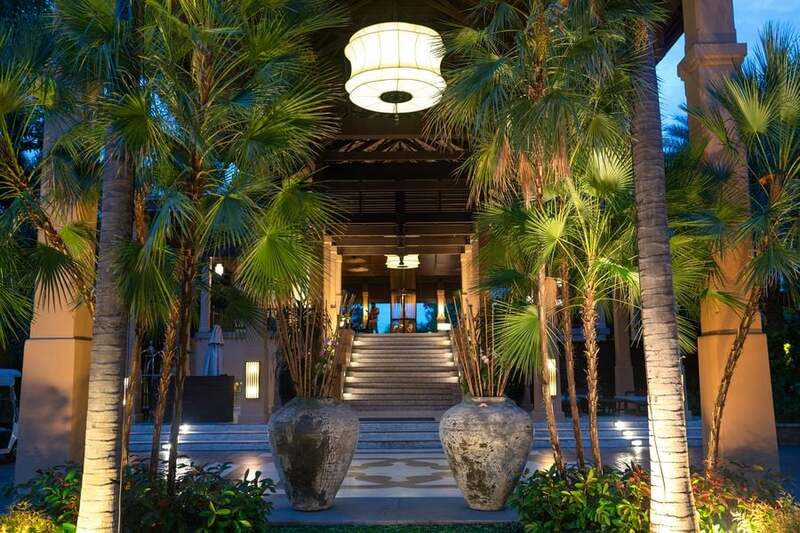 Hua Hin has a special place in the hearts of the Thai because of its strong connection to their beloved royal family. Since the 1920’s, this coastal city has been the royal family’s preferred summer retreat, a key driver in Hua Hin’s push towards modernity. Bangkok residents followed the royal lead, driving or catching the bus or train to spend their summers, or even just the weekend, escaping the capital’s fast-paced urban living. 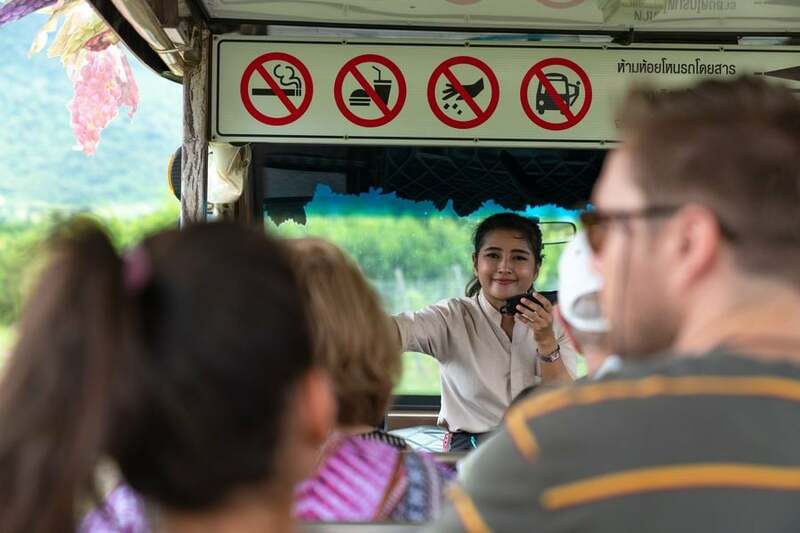 As Hua Hin’s tourism industry flourished on the demand of domestic tourists, it evolved very differently to parts of Thailand shaped by international tourists, like Phuket. Prices here are much more reasonable, and its more laid back. Hua Hin offers some of Thailand’s best golf courses and fishing spots, beautiful rainforests and majestic mountains, historical landmarks, world-class beach resorts, and even quirky attractions like the replica villages of Santorini Park (a replica Santorini) and The Venezia (a replica Venice). 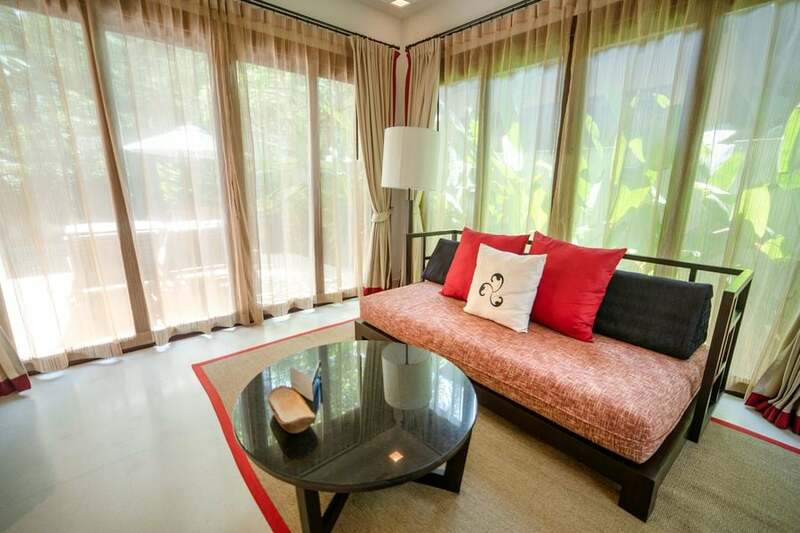 It’s no wonder that international tourists are starting to catch on that there’s something special about Hua Hin. It’s not just another tropical beach in Thailand. Hua Hin exudes a completely unique character. 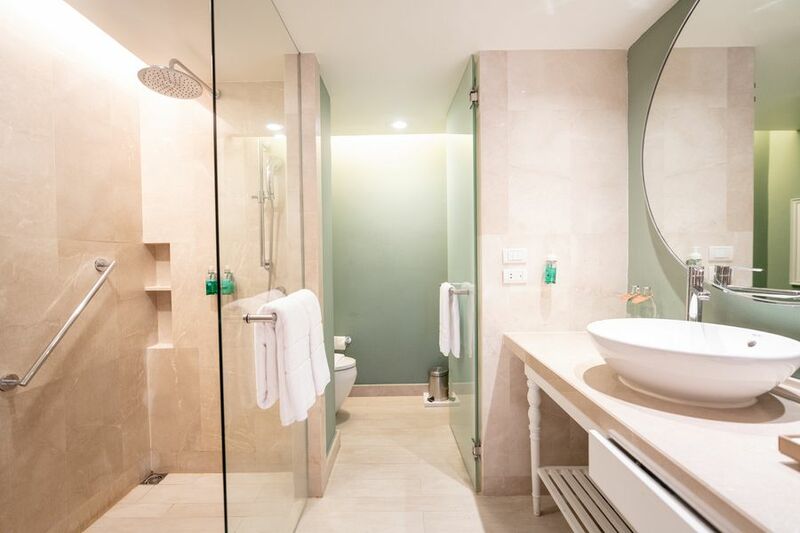 It’s close to nature, while retaining some of the conveniences you’re familiar with. It has long, sandy beaches with gently lapping waves. And it has some of the best fresh seafood found in Thailand. At only 3 hours’ drive southwest of Bangkok, it’s within easy reach – with direct buses from Suvarnabhumi Airport (BKK) every hour. Here are 9 reasons why you should include Hua Hin on your Thailand vacation itinerary. The mesmerising Phraya Nakhon Cave is something that just has to be experienced in person. Even the best photos cannot do it justice. They lack the subtlety of the sunrays dancing in trees and whisper-quiet atmosphere inside the sacred cave, not to mention the sense of accomplishment you feel from climbing a very steep set of rocky (and slippery) steps to reach the cave. The cave is located within the Khao Sam Roi Yot National Park, about an hour’s drive south from Hua Hin. I can say unreservedly, it’s one of my favourite places in Thailand. Find out everything you need to know about visiting Phraya Hakon Cave in my article: How to see the best natural attractions in Hua Hin. While in the area, we ventured to Bueng Bua Nature Observation Centre (or Bueng Bua Wood Boardwalk), which is also within the Khao Sam Roi Yot National Park. As a mountain range separates this location from the beach, we drove along a route that took 55 minutes from the Bang Po Beach carpark. 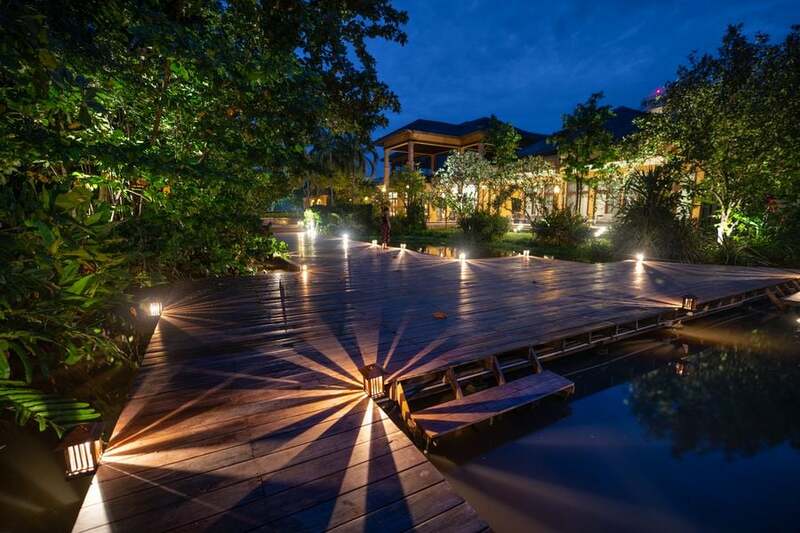 Perched above water lilies and swamplands, this meandering wooden boardwalk offers a unique vantage point to view birdlife and relax in peaceful surroundings. Frugal tip: If you see the cave and boardwalk on the same day, you can use the same national park entry ticket. Read my additional tips about making the most of your visit to Bueng Bua Wood Boardwalk. Undoubtedly, the best views of Hua Hin are found atop the 272-metre-high Khao Takiab, or Monkey Mountain. Monkey Mountain received its name from hundreds of resident macaque monkeys leaping from tree to tree, fighting amongst the rocks, and sunbaking on the stairs. Read more about how to access Monkey Mountain and what to do when you get here. The Pa La-U Waterfall is located on the south side of the Kaeng Krachan National Park close to the Burmese (Myanmar) border, about an hour’s drive west from Hua Hin. The waterfall is said to be one of the largest in Thailand and a great place for butterfly watching. Unfortunately, we didn’t have time to visit the waterfall on this trip… of course, we had to leave something for our next visit to Hua Hin! The beaches in Hua Hin may not be your typical tropical beach lined with water sport vendors and coconut trees. But that’s a good thing. 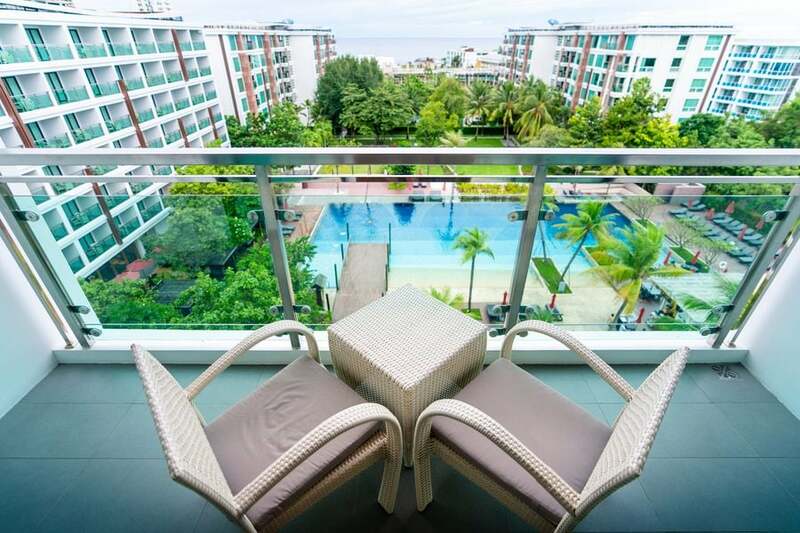 Here you’ll find the chilled character unique to Hua Hin. We headed down to the beach for an early morning stroll and noticed these three things; fishermen, oodles of sea creatures, and horses. Yes, horses. If the stereotype that Thai people love cowboys is true, then a handful of Hua Hin’s residents get to live out their fantasies every morning, galloping along the shoreline, usually wearing cowboy hats. Horse rides are available to tourists, but prices vary greatly between horse owners so don’t necessarily take the first horse you come across. We overpaid at 400 baht per person to ride about 2km one-way to Monkey Mountain, and I didn’t even get to wear the cowboy hat! If you’re imagining a romantic horse ride along the beach at sunset, think again. Unfortunately, seaside horse rides in Hua Hin are restricted to the mornings as the tide is too high in the afternoon and the horses retire for the day around 2pm. After our horse ride, we walked back along the beach and marvelled at the tiny signs of life along the water’s edge. There were millions of crab holes of all sizes, small fish swimming in the shallows, and an infinite number of brightly coloured shells. Many of the shells seemed to have be moving and I realised they were actually crazy crabs! If you’re after a free activity to entertain the kids, take them down to the beach to spot fish and crazy crabs. They’ll love it. Hua Hin was originally a small fishing village and you can still see a handful of fishermen early in the mornings. Some of them wade into the water up to their waists to cast out lines or lay down crab nets. One of my favourite things to do in Thailand is sipping a cocktail on the beach. While the beaches in Hua Hin aren’t lined with restaurants and bars like Pattaya and Phuket, they do have beach clubs. We tried the Shoreline Beach Club, which offered stunning ocean views, a large swimming pool, indoor and outdoor dining, and, of course, a cocktail bar. Thanks to Hua Hin’s fishing village origins, many local restaurants pride themselves on their seafood menu. We were treated to the chef’s special seafood BBQ at the Shoreline Beach Club and were blown away by the generous serving size. The fiesta included oysters, muscles, squid rings, prawns, fish, and scallops, all cooked to perfection. If, like me, you’re not a huge seafood eater but can’t get enough classic Thai chicken and rice, you will fall in love with the Tamarind Night Markets. 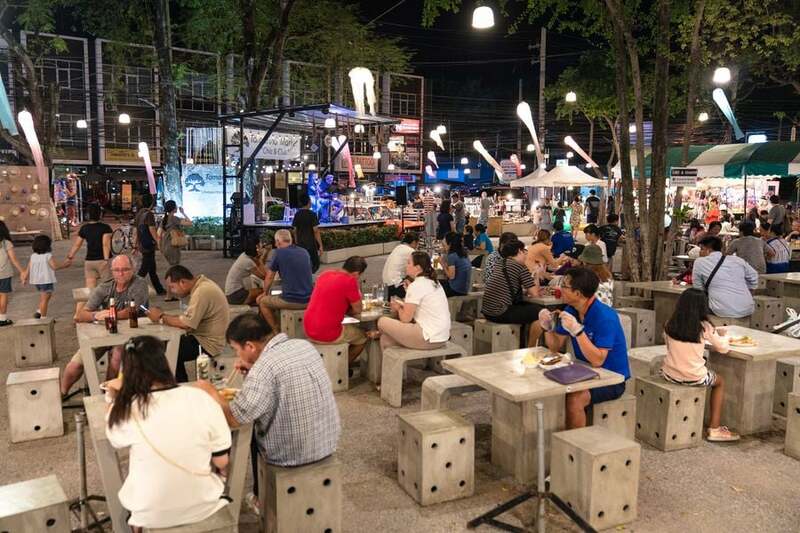 Open Thursday to Sunday from 5pm to 11pm, the Tamarind Night Markets are like a massive open-aired food court filled with street food and food trucks. 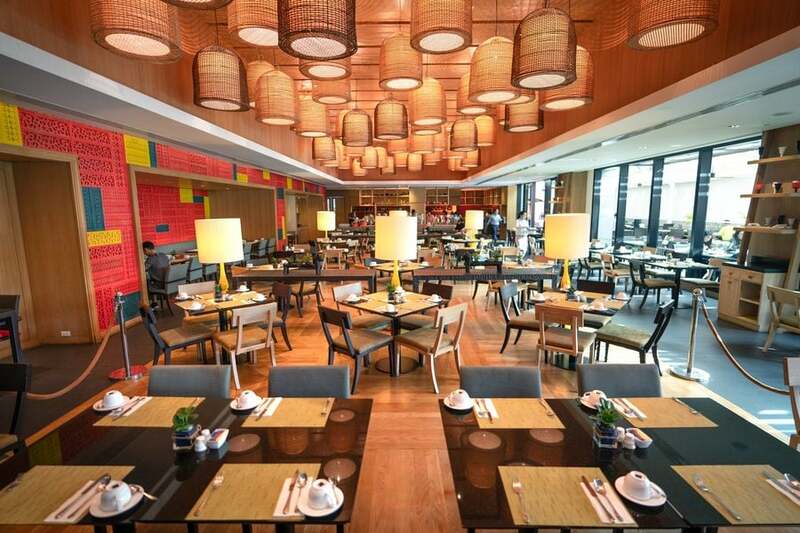 Delicious options include sushi, pad thai, satay sticks, tom yum, grilled meats, papaya salads, fresh juice, bubble tea, and ice cream, all of which you can enjoy under twinkling fairy lights while listening to live music. We settled on a classic pad thai with chicken for 60 baht each followed by gelato from an ice-cream tuk-tuk for 80 baht each. 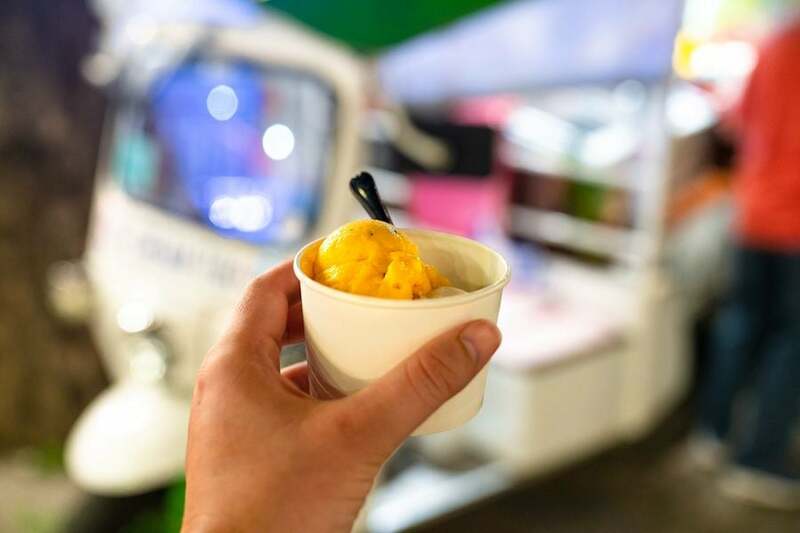 What really stood out about the Tamarind Night Markets was the ultra-chilled atmosphere. It was popular, but not too busy unlike similar food courts in Bangkok. There was a decent amount of space between each set of polished concrete tables and chairs, and while the ambient live music entertained, it was quiet enough to comfortably hold a conversation. 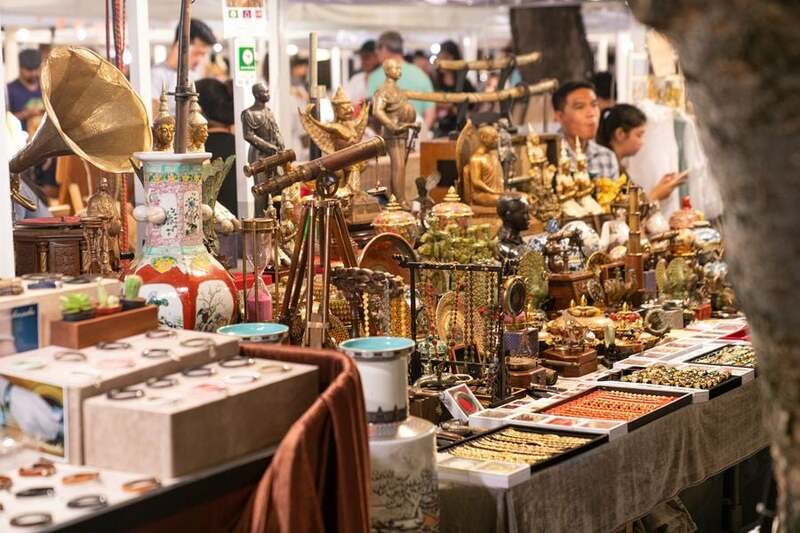 If you’re searching for something truly unique to remember your time in Thailand, the Cicada Night Markets in Hua Hin are hands down the best place for artisan shopping. All items for sale, from landscape paintings to ceramics to clothing and jewellery, are all hand-made by locals. Some of the stall owners were even creating new items to sell while waiting for their next customer. 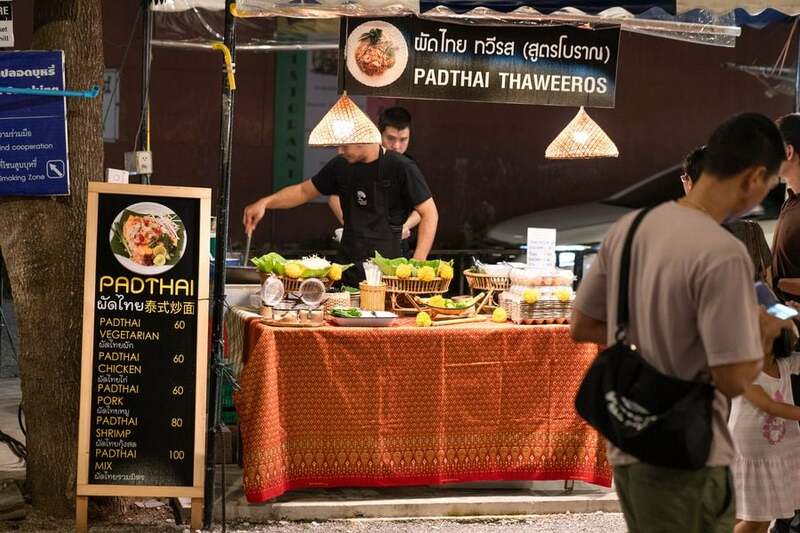 What I revelled in the most was, unlike most other markets in Thailand, Cicada Night Markets stall owners didn’t pressure customers into buying. I was actually free to wander around and look at the products at my own leisure. Uhhh, is this still Southeast Asia? While this market didn’t have a massive food court, it did have a sectioned-off cocktail bar with a few food options near an amphitheatre. It looked like most people choose to eat at the Tamarind Night Markets next door. 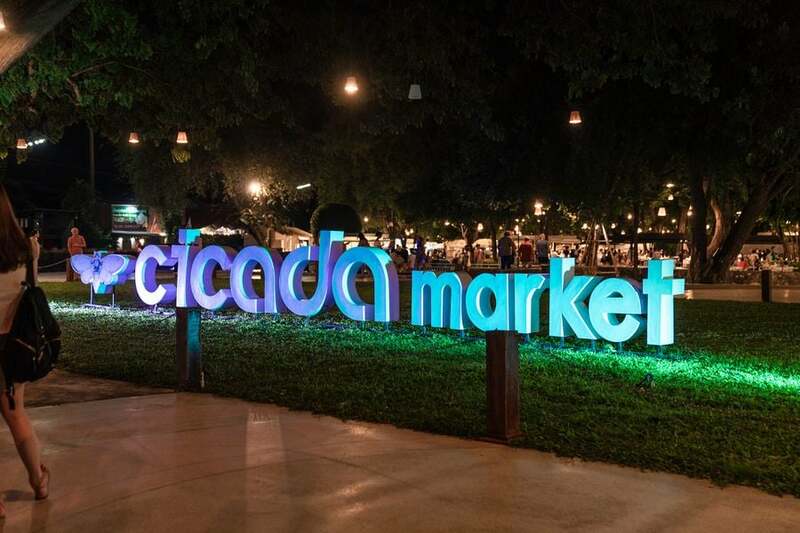 The Cicada Night Markets are open Friday to Sunday from 4pm to 11pm. Who would have thought that Thailand produces its own world-class wines? 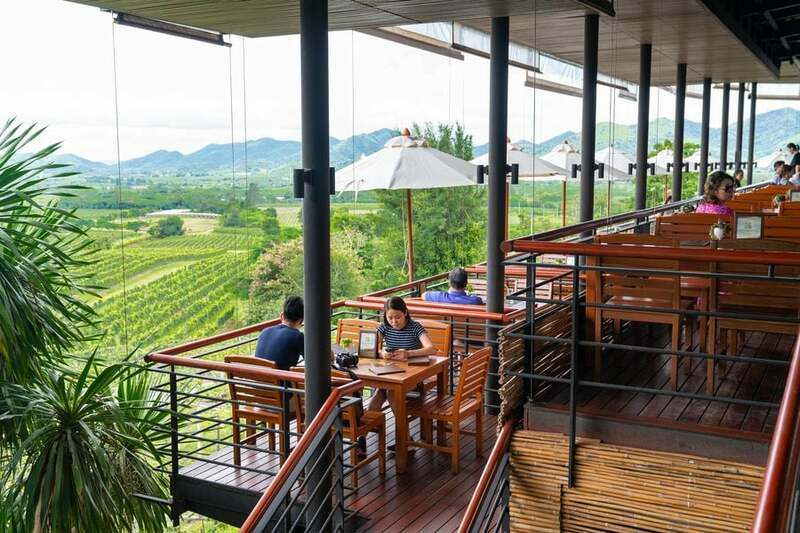 Our favourite dining experience in Hua Hin was the Monsoon Valley Vineyard, a 45-minute drive west from Hua Hin. While you can simply enjoy a meal or taste and purchase wine, you can also turn it into a full day-trip. You do need to book ahead and you can also arrange transport at the same time. The vineyard’s private shuttle leaves from the Hua Hin Hills Bistro and Wine Cellar at 11am and departs from the vineyard back to the city at 2pm. Upon arrival, we were shown to a table, served a complimentary (non-alcoholic) welcome drink and given a book of activities to choose from which included wine tasting, 4x4 safari tours, wine bottle painting, mountain biking, and elephant riding tours (I do not support elephant riding but for those inclined, it is offered at the vineyard. Please be mindful if you are sensitive to this). Our first activity was free 4x4 safari tour, where we learned about the vineyard’s history and harvesting process. The tour guide pointed out the different types of grapes and encouraged us to come back in harvesting season (around March) when the vines are filled with colourful fruit and the fields are full of workers. I tried my best to listen without getting distracted by the captivating scenery. After the tour we returned to our table for wine tasting and lunch. We selected the Grand Tasting Set for 1,050 baht per person and got to try 3 white wines and 2 reds. The wait staff were extremely generous pourers, with each glass filled at least half way. 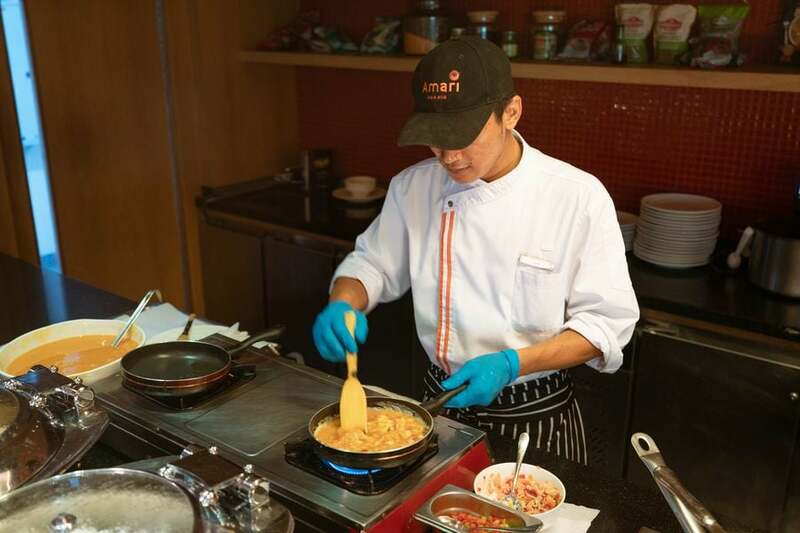 Monsoon Valley has a huge selection of western and Thai food, with each menu item paired with a recommended wine. If you like the wines as much as we did, they can be purchased from their gift shop. They do offer international postage to select countries but unfortunately Australia wasn’t on the list, so our shopping was limited. 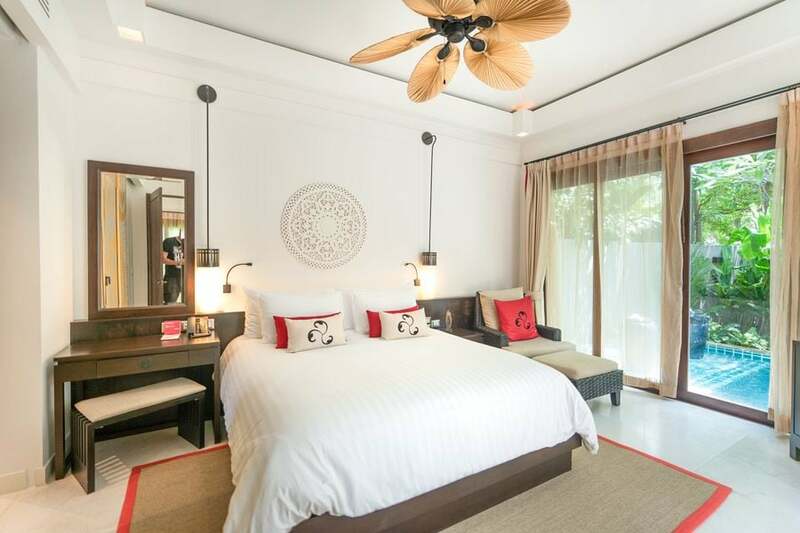 The Amari Hua Hin‘s location is enviable - close to dozens of delicious restaurants on the main street and only a few minutes’ walk from the Cicada and Tamarind markets. We stayed in a spacious Deluxe Pool View Room, and couldn’t resist the Amari’s massive swimming pool and nearby pool bar. 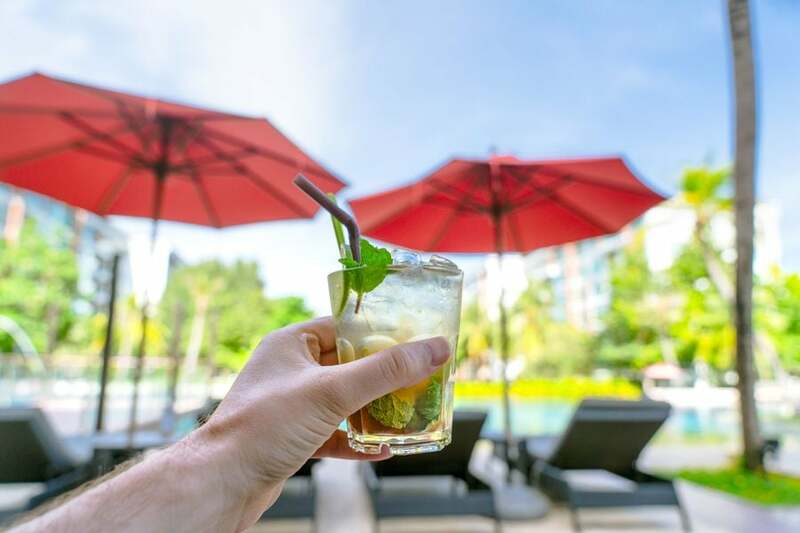 A stay at the Amari Hua Hin incudes access to the Shoreline Beach Club, which as the name suggests, is literally on beach. The beach club has another swimming pool, a bar and restaurant with panoramic ocean views. The beach club is only a 2-minute walk from the hotel but they also offer a complimentary on-demand shuttle service to transport guests to and from the beach club. 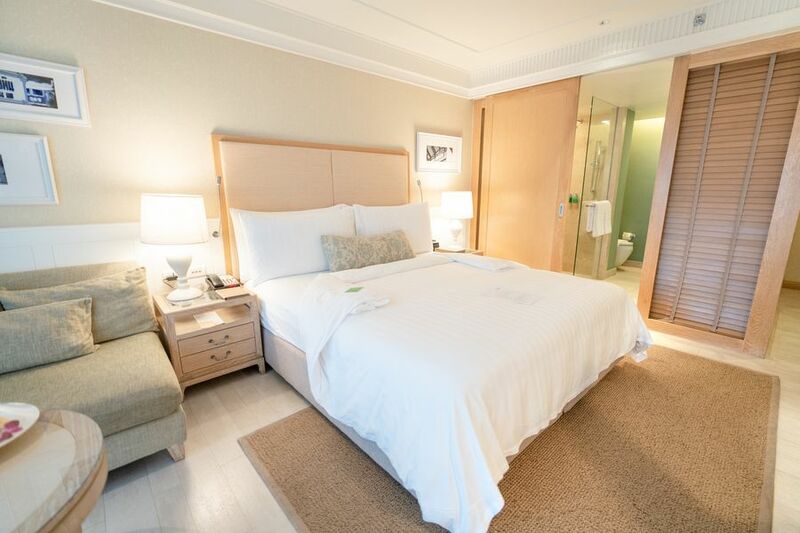 If your favourite hotels offer an extra touch of luxury, you’ll love the Movenpick Asara Resort & Spa. 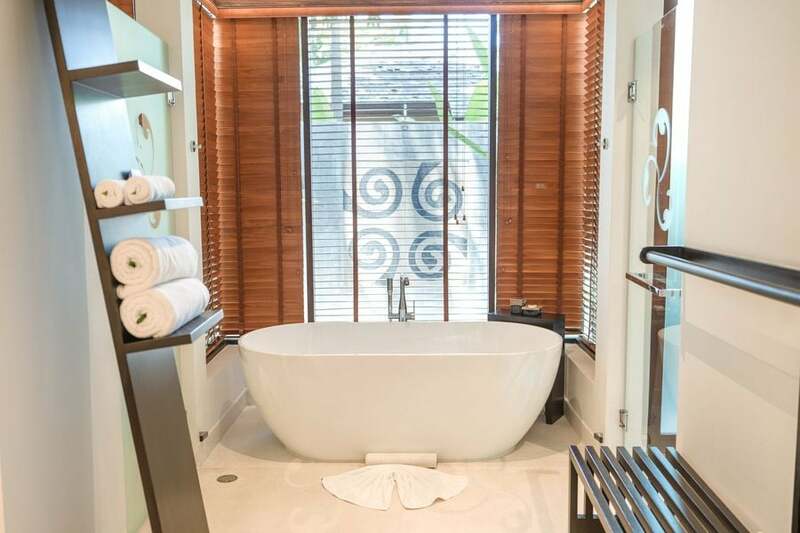 We stayed in a Private Pool Villa, which included a spacious bedroom, lounge room, and outdoor seating area with a dreamy swing and private swimming pool. If we ever tired of our own private pool, cos you know, that happens, the Movenpick also features 2 uber-large luxurious pools. I couldn’t get enough of the ocean views, relaxing by the pool. Oh, and did I mention the daily “chocolate hour”? If this is the first time you’ve heard of Hua Hin, then you’re probably not the only one. This under-the-radar destination in Thailand isn’t going to remain a local secret forever. And if you have heard of Hua Hin but taken the same-same approach as our taxi driver in Phuket, then I can only begin to share what you’ve been missing out. But hopefully for not much longer.